UC San Diego will receive two 2017 Energy Efficiency and Sustainability Best Practice Awards from the Higher Education Energy Efficiency Partnership. 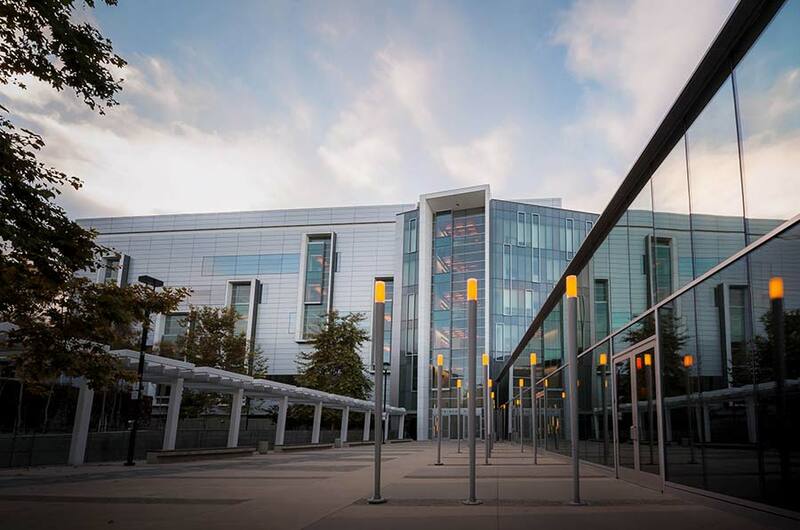 The annual awards highlight achievements that University of California and California State University campuses have made through innovative and effective energy efficiency projects and sustainable operations. UC San Diego will be recognized in the Sustainable Transportation and HVAC Design/Retrofit and Commissioning categories during an awards ceremony that will be held as part of the California Higher Education Sustainability Conference at UC Santa Barbara, June 26-29. Implementing monitoring-based commissioning at Atkinson Hall has resulted in an estimated annual project savings of 3.5 million kilowatt-hours and $375,000 in combined utility costs. In the Sustainable Transportation category, the campus was commended for its affordable electric vehicle leasing and sales program and ongoing expansion of charging infrastructure. As the automotive market shifts towards electric vehicles and UC San Diego strives to meet University of California carbon neutrality goals as well as California’s zero emissions vehicle goals, affordable access to vehicles and charging are seen as the key to success. 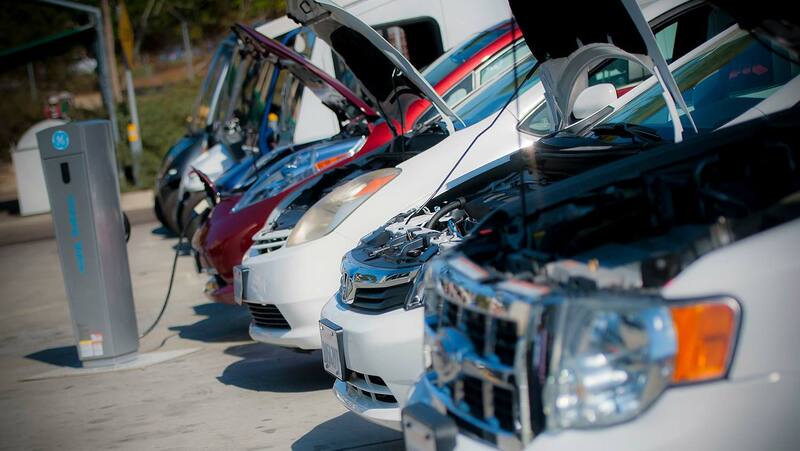 By supporting “evergreen” fleet purchase and lease prices with major electric vehicle carmakers and constructing necessary on-campus charging stations, UC San Diego is eliminating barriers and incentivizing students, staff and faculty to participate. The electric vehicle program has already resulted in unprecedented growth with more than 200 members of the campus community taking advantage of leasing and sales offers in the past year. Estimated impact from fleet purchases so far has resulted in 2.75 million averted pounds of carbon dioxide emissions. The campus also currently has 66 public charging stations available and has an agreement in place to increase that number to over 150 within the next 18 months. Due to its success, the UC San Diego program is now being expanded to the entire University of California system. In the HVAC Design/Retrofit and Commissioning category, UC San Diego was recognized for implementing monitoring-based commissioning at Atkinson Hall. The 250,000 square foot hall is home to the Qualcomm Institute and features research and office space as well as a variety of public spaces including an auditorium, theater and conference rooms. The commissioning project first identified electricity and water savings using testing and trend analysis. Measures were then implemented including mechanical repairs, improvements such as dedicated cooling for the photonics lab, and programming upgrades such as pressure and temperature resets on the hot water loop. The estimated annual project savings include 3.5 million kilowatt-hours, 11,000 therms of gas, and $375,000 in combined utility costs. For more information about the awards, visit the California Higher Education Sustainability Conference website.